the way of the dress: Day 10: Is There Really Anything New Nowadays? Day 10: Is There Really Anything New Nowadays? 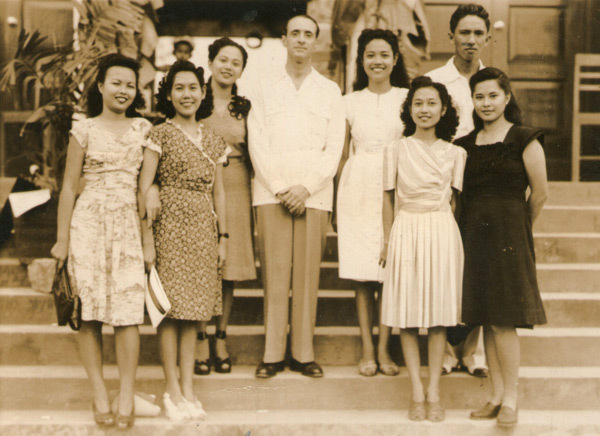 I just recently acquired a series of photographs of Filipinos that date as far back as 1930. Is it not quite the inspiration? An old photograph of women in Manila that seems like it was taken late 50's or early 60's. In fashion, I learned that many people think there is nothing new anymore and nowadays it is all about copying and copying and copying. This may be true. But it does not stop at that. Because in the same way someone declares something as not new, there will also be someone that will declare something as new. As G said after our long debate, there is nothing new in fashion yet simultaneously we are surrounded by new things. What I'm taking away from this is the idea that the conscious act of constantly pushing to create what you believe is new, feels like a better notion. When someone says there is nothing new anymore, you need not use it as an excuse to imitate a design. Perhaps it is better if it will push you instead - to rebel and disagree.